Westside Park, located at 4th and Spruce, was purchased in 1971. This neighborhood park includes children play equipment, picnic areas, a basketball court, restrooms and a covered picnic shelter. 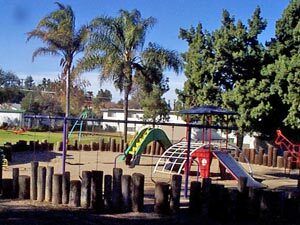 The park was named through a contest with children from Central and Felicita Schools.